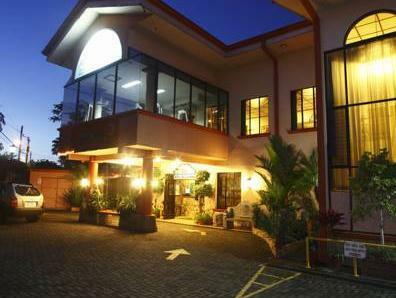 ﻿ Best Price on Adventure Inn in Heredia + Reviews! A 10 minute drive from central San José, Adventure Inn Hotel features a solar-heated infinity pool, a hot tub and gym. 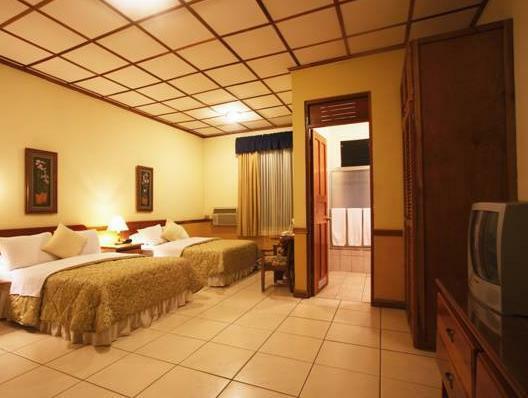 Each modern, air-conditioned room includes free Wi-Fi and a coffee maker. Rooms at the Adventure Inn feature 2 queen beds, a rental safe and cable TV with over 60 channels. The spacious bathrooms include toiletries and hairdryers, and some have a spa bathtub. Decorated with indigenous art, the MoonGlow bar-restaurant serves fusion cuisine, snacks and tropical cocktails. The daily buffet breakfast includes eggs, bacon and pancakes, as well as exotic fruit and fresh coffee. Adventure Inn is in the stylish Ciudad Cariari residential neighborhood, surrounded by restaurants and shops. San Jose International Airport is a 10 minute drive away. The staff at the Inn offers local area information in English and Spanish. Car rental can be arranged, and free private parking is available on site. Please note that the guest must contact Adventure Inn to request and schedule the free airport shuttle service. The hotel's contact information will be provided in the booking confirmation. Wir waren für eine Nacht im Adventure Inn als erste Station in Costa Rica nach dem Hinflug. Das Hotel hat einen guten Standard, einen Swimmingpool, sehr gutes Frühstück und englischsprechendes Personal. Die Lage in einem Vorort von San Jose ist gut für alle, die nicht direkt im Zentrum wohnen wollen. Der Bus in die Stadt fährt aber in unmittelbarer Nähe ab.